November 6, 1895: Eighteen men, at least half of whom were former slaves, petition the Superior Court of Houston County for a charter which would legalize Fort Valley High and Industrial School (FVHIS). The group is led by John Wesley Davison, a former child slave. January 6, 1896: FVHIS is incorporated by the Superior Court of Houston County. Davison becomes its first principal. 1904: Henry Hunt, Jr becomes FVHIS’s second principal. 1916: Otis O’Neal begins the world-famous Ham and Egg Show. 1918: FVHIS agrees to control by the Episcopal Church. 1928: FVHIS achieves junior college status. 1932: FVHIS changes its name to Fort Valley Normal and Industrial School to reflect its role in teacher training. 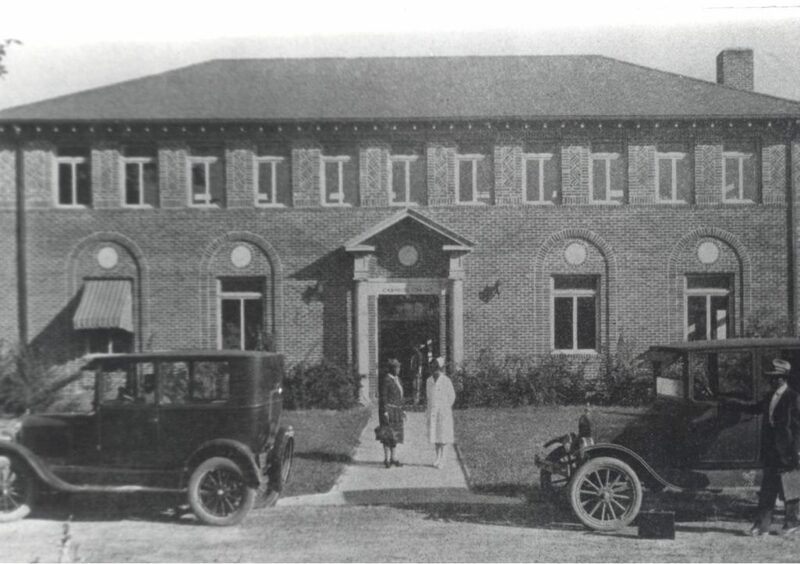 June 1939: Fort Valley Normal and Industrial School is acquired by the state of Georgia and becomes Fort Valley State College. 1939: Horace Mann Bond becomes president. 1945: Cornelius Troup becomes president. 1946: First graduate programs authorized. 1949: Fort Valley State College becomes Georgia’s only 1890 land grant college to emphasize training in fields where there is great need—which in 1949 included mechanical arts, science, and agriculture. 1952: Student Catherine Hardy wins a gold medal as a member of the 400-meter women’s relay team at the 1952 Olympics in Helsinki, Finland. July 1, 1966: Waldo Blanchett becomes president. 1973: Cleveland Pettigrew becomes president. 1983: The nationally-renowned Cooperative Developmental Energy Program is launched to increase the number of minorities and women working in the energy sector. 1990: Oscar Prater becomes president. June 12, 1996: Fort Valley State College achieves university status and becomes Fort Valley State University. October, 2001: Kofi Lomotey becomes president. 2003: Warner Robins, GA campus is opened. March 14, 2006: Larry Rivers becomes president. July 22, 2013: Ivelay Griffith becomes president. December 15, 2015: Paul Jones becomes president. 2014-2016: FVSU is listed as the nation’s top producer of African-American students in math-related majors.